Wilber Ernest Armstrong, Jr., age 81 years, died of Cancer April 3, 2019, at home surrounded by loved ones. He was a devoted husband, of almost 59 years, and father of two. Though a quiet thoughtful man, he often delivered memorable, witty one liners. He was Mr. Fix-It, always busy building or repairing or improving everything from computers, automobiles, boats, golf clubs, furniture, home appliances, just anything family and friends needed. He donated his time to many community projects (an Eiffel Tower replica in Paris, Texas), charitable fund raising events, and as a Little League Coach. He enjoyed golf, bowling, boating, fishing, music, and was an avid Detroit Lions Fan. 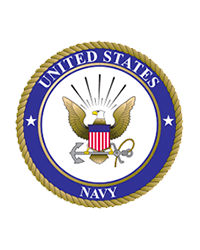 He was a United States Navy Veteran, Metallurgist, and Facilities Engineer in Automotive, Aeronautics, Aerospace, and Energy Industry, working coast to coast and Canada. Preceded in death by his Father, Wilber Ernest Armstrong, Sr., and Mother, Rosetta Cullen Armstrong. Survived by: Wife, Robbie LaRita Cole Armstrong; Daughter, Cristia Lynne Armstrong; Son, Eric Theodore Armstrong; Sister, Edith Mae Armstrong Moose; Grand-Daughter, Jade Michelle Haydu; and Great-Grandson, Elias Joseph Haydu-Ashford. No services are planned at this time and in lieu of flowers donations can be made to the American Heart Association/American Cancer Society.